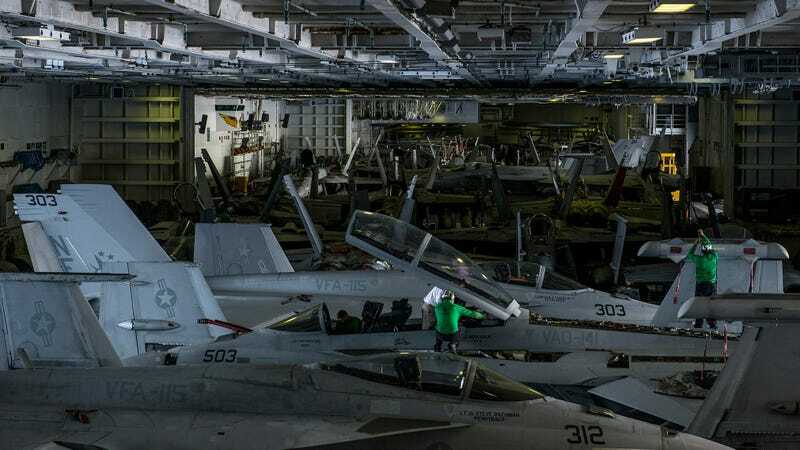 From this point of view it seems that one cannot fit a knife between two planes in the crammed hangar bay of the Nimitz-class aircraft carrier USS Ronald Reagan, where sailors perform maintenance on F/A-18 Super Hornets. Let’s play! How many aircraft can you count in this photo?